from some familiar names in this independent print world. Posted on April 8, 2019 by Steve Tassone and filed under New Product and tagged the occasion issue 2. Welcome edit for Emerson Morgan joining up with Animal through 4Down in the UK. Posted on March 11, 2019 by Steve Tassone and filed under Video and tagged emerson morgan animal bikes edit. frame line-up will be available soon, be on the lookout! Posted on February 25, 2019 by Steve Tassone and filed under Videos and tagged alive industry daisuke welcome. 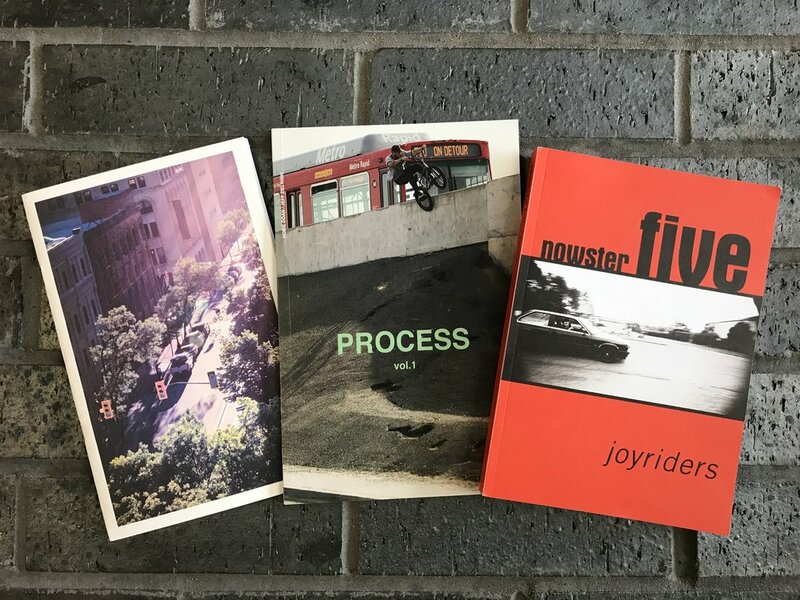 Just updated the media page with a few new zines including the latest Pushitastop issue titled “Patience”, the first issue of a west coast based zine titled “Process” and the fifth issue of Gaz Hunt’s Nowster series titled “Joyriders”. Posted on February 1, 2019 by Steve Tassone and filed under New Product. The fourth installment of the ‘Maintain’ zine series by Rob Dolecki is now available over on the media page. Posted on December 31, 2018 by Steve Tassone and filed under New Product and tagged maintainIV robdolecki. Posted on August 7, 2018 by Steve Tassone and filed under New Product and tagged us/them andrewmick'stape. Posted on July 10, 2018 by Steve Tassone and filed under New Product and tagged bmxjawn theoccasion zines.